Proper nutrition is one of the most important aspects of caring for a dog. The best way to ensure good health is to feed your dog a high-quality food that provides complete and balanced nutrition. However, a dog’s overall nutrient needs are dependent upon life stage, activity level, and environment. Here, everything a pet owner needs to know about proper feeding in any situation will be discussed. What are a Dog’s Basic Nutrient Requirements? An adult dog is comprised of 60-70% water, which makes proper hydration of utmost importance. A dog’s primary water source should be fresh water from a clean bowl, as dry food has minimal moisture content. Dehydration is extremely dangerous for canines, and even slight dehydration can result in health complications and death. Protein is essential for proper functioning of every cell, tissue, and organ in a dog’s body. Every system (i.e immune, endocrine, central nervous, etc.) is dependent upon adequate protein intake. Dogs require complete protein (i.e. containing all 20 amino acids) sources since canines are unable to synthesize all the amino acids naturally. Complete protein sources for dogs include meat, fish, and eggs while vegetables, grains, and soy have incomplete protein profiles. Fat provides dogs with the best bioavailable form of energy for their metabolism. Besides giving your dog the ability to play all day, lipids are important for hormone production, proper growth, healthy skin, and vitamin absorption. Look for a high-quality, easily-digestible source of fat in your dog’s food. While carbohydrates are less important than protein or fat, this macronutrient still must be provided for optimal health. Without adequate carbohydrate intake dogs lack healthy digestive, neurological, and reproductive systems. Carbohydrates are also important for providing the energy required for short bursts of energy. Additionally, fiber is comprised from carbohydrates which is necessary for good gut health. Dogs with a diet low in fermentable fiber are prone to chronic diarrhea and other gastrointestinal problems. Striking the right fiber balance is important, as high fiber diets are not recommended for highly active dogs or puppies. Micronutrients include vitamins and minerals. Since vitamins and minerals are not made in the body, it is important that dogs receive their nutrients from food. Vitamins and minerals are important for healthy bones, teeth, skin, tissues, and metabolism. Any commercial dog food labeled “balanced and complete” will provide a dog with the necessary micronutrient profile. Unless your dog has been diagnosed with a nutrient deficiency or you have spoken to your veterinarian, do not supplement your dog’s diet. Excess vitamins and minerals can cause health problems such as kidney failure. A puppy should start being weaned from its mother’s milk at 4 weeks of age. If the mother dog is unable to provide milk during the first month of a puppy’s life, contact a veterinarian. Ideally, weaning will occur over a period of 3 – 4 weeks so that the dog is eating regular puppy food at 8 weeks old and the mother’s milk supply decreases gradually. Puppies should be weaned slowly. To start, separate the puppies from their mother for a short period of time each day. During separation, feed the puppies a small amount of dry food. Over time, the length of time puppies are, separated as well as the amount of food, can be increased. Puppies should be fed a high-quality food specially formulated for growing dogs with 25 – 30% protein. The dry food should be mixed with warm water or milk replacer to make chewing easier for sensitive mouths. Energy requirements for puppies are greater than that of adult dogs due to their accelerated growth rate. However, puppies should not be encouraged to grow too quickly. Overfeeding a puppy will cause a growth rate that is faster than its body can sustain. Once your puppy stops growing (typically at 7 – 9 months for small breed dogs and 18 – 24 months for large breed dogs), a maintenance formula that provides complete and balanced nutrition should be provided. The amount you feed your dog will be determined by activity level and size. For instance, a sedentary dog will have significantly fewer calorie requirements than a working dog. To determine your dog’s nutritional needs, talk to your veterinarian and monitor your dog’s body condition. If your dog begins to gain weight, reduce portion sizes. Likewise, if your dog loses weight you should increase the size of his or her meals. Use the guidelines listed on the dog food label as a starting point. If your dog rarely exercises, decrease the portion size by approximately 10%. If your dog is regularly active, portion sizes may need to be increased by 20 – 40%. Dogs reach senior status at 7 – 12 years of age, depending on breed. The bodies of senior dogs begin to slow down, especially at the metabolic level. To avoid gaining weight, a dog’s diet should be changed. Obesity is a major risk factor for disease and maintaining a healthy weight will greatly improve an older dog’s quality of life. New research has shown that, contrary to popular belief, senior dog food formulas should continue to be high in easily-digestible protein. However, calorie content should decrease to compensate for their slower metabolism and lower energy output. A working dog has significantly higher nutritional needs than the average pet, largely due to the extra stress and activity level. Depending on your dog’s purpose, i.e. guide dog vs. herding dog, additional energy consumption can be as high as 40 – 60% versus the standard companion pet. After a surgery or illness your may have additional nutritional needs to support his or her immune system. Talk to your veterinarian to determine whether your dog requires increased fat, protein, vitamins, or minerals to enhance recovery. Be mindful that portion sizes should decrease to reflect decreased activity. A dog that lives outdoors or spends a significant amount of time outside will have larger energy requirements as well. Heating and cooling have a high metabolic cost, particularly during temperature extremes. Dogs that live in sub-freezing temperatures require 30 – 40% additional caloric intake. A main reason for the obesity epidemic in household pets is poor portion control. Many pet owners equate food with love and therefore increase a dog’s portion sizes as a result. Use the tips provided above to determine the right portion size for your dog based on age and activity level. Adding low-calorie vegetables to your dog’s food bowl, such as canned pumpkin or green beans, will help your dog feel full as he or she transitions to smaller meals. Overweight dogs rarely receive enough exercise. Not only does exercise aid in weight loss, but it provides numerous additional health benefits, such as a healthier heart and increased circulation. Start with short walks on soft surfaces and increase your dog’s activity level gradually. Treats should be used sparingly and should not total more than 5% of your dog’s daily caloric intake. High-value treats should be given in the smallest portion size possible. Additionally, table scraps should not be fed to dogs. If necessary, place your dog in another room during meal times. Regardless of how you feed your dog, meals should be given at routine times. Most dogs benefit from being fed twice daily, however there are exceptions to this rule. For instance, dogs prone to bloat can be fed 3 – 4 smaller meals per day to prevent large volumes of food in the stomach. Working dogs, on the other hand, often do best with one meal per day that is optimally timed for performance. The most common manner to feed your dog is through portion-controlled feeding. Here, a set amount is fed at each meal and the dog can finish at his or her leisure. This method is ideal for dogs on a diet or single-dog households. With free choice feeding, a food bowl is topped with food at all times and the dog decides when to eat. Dogs with high energy needs, such as lactating mothers, can benefit from this approach. However, overweight dogs or breeds that are prone to obesity (such as Labrador Retrievers) should not be free-fed as this practice can contribute to overeating. Timed feeding is the practice of only giving your dog a limited window to consume his or her meal, such as 30 minutes. After that time is up, the food is taken away. This practice is ideal for dogs that are picky, or in multi-dog households with food-aggression issues. Ultimately, what you feed your dog is important. It is up to pet owners to provide the highest quality food possible to prevent disease. Additionally, pet owners should take care not to overfeed their dogs, which can cause serious health problems. By following this guide, dog owners can be better informed about the specific needs of their pets. Why does it take 3 months to reliably train a gun dog? There are two reasons for this generally agreed-upon timeframe. First, few owners are willing to send their dogs to professional trainers for longer than 3 months. Second, 3 months is the shortest amount of time that is generally required for a dog to reliably execute commands for the owner, in addition to the trainer. While no two dogs will ever be trained on the exact same timeline, there are two extremes that most dog trainers observe. The first is the young dog with excellent genes. Within the first month of training the dog is introduced to different types of birds, encouraged into different types of cover, and allowed to hunt. Basic obedience is also covered during the first month of training. In the 2nd month, a dog of this caliber undergoes e-collar training and basic yardwork. In the final month of training the dog is tested for readiness in the field as well as appropriate ground coverage. At the end of the three months, the dog is well its way to working reliably in the field, with continual training from the owner. These results can be expected for a dog with good genes that is started at an appropriate age and already has consistent retrieving skills. An example where a 3-month time frame may not be long enough is when trainers are brought dogs that do not already retrieve, or that do so poorly (i.e., ones that “kill” game). A dog that has not learned a forced retrieve will require an additional 1 – 2 months of training. Not everyone can send his or her dog to a professional trainer. If you are unable to commit to the time or cost that is necessary to produce a professionally-trained dog, there are other options available. For instance, many regions of the country have training groups where a professional trainer or experienced handler guides dog owners through the training of their gun dogs. Additionally, there are numerous print and online resources available that outline the entire training process. However, dog owners should be aware that the training timeline may be significantly longer when starting from scratch with a DIY method. Ultimately, dog owners must respect that producing a well-trained dog requires time, energy, and patience. It is unfair to both your dog and a trainer to expect this process to be quick. 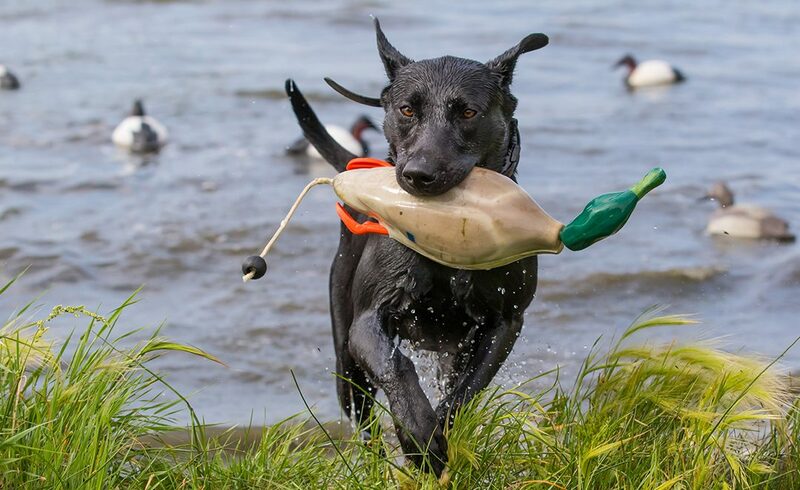 By understanding the skills that are required of a proficient gun dog and when to start building appropriate foundation commands, training can occur in a timelier manner. Contact Joe Scarpy at Bull Valley Retrievers for Board & Train or One-on-One training options for your next hunting companion. 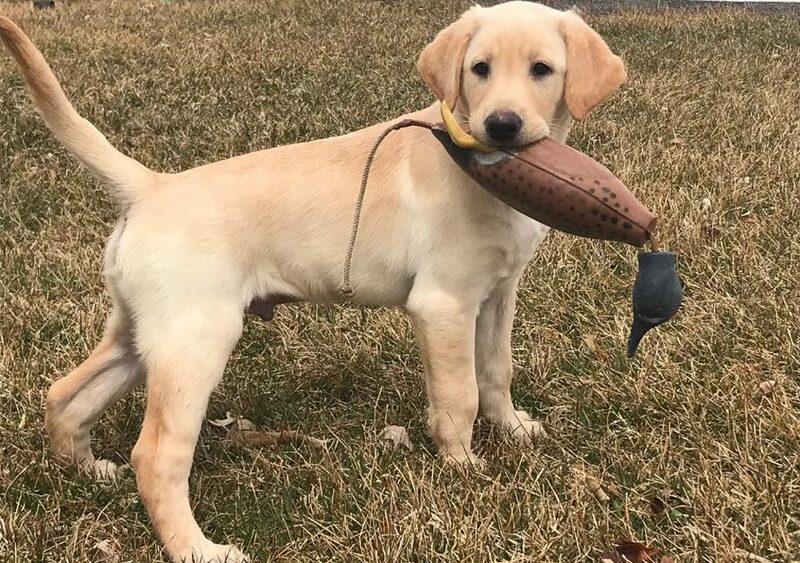 There are a number of common setbacks that hunters encounter when training their retrievers at home. The most common training pitfalls are discussed here, as well as Hunting Dog Training Tips and how to overcome them. As hard-working humans, we are conditioned to the idea that that the more time we put into something, the more we get out. However, when working with young dogs, this equation does not hold true. Instead, training sessions that are too long can lead to mental fatigue and negative associations with hunting. For dogs younger than six months of age, training sessions should not last more than 5 minutes. Additionally, training sessions do not have to occur every day in order to be effective. For dogs 6 – 12 months of age, training sessions should be positive, upbeat, and less than 20 minutes long. Hunters often become impatient and want to expose their dogs to the hunt as soon as possible. However, dogs under 10 months of age have nothing to gain from this experience, and the risk of serious training setbacks, such as becoming gun-, water-, or bird-shy is high. Instead, be patient and continue to build basic skills while mimicking controlled hunting scenarios at home until your dog is ready for a real hunt. A common misconception is that working on steadying too soon will result in a dog that is unenthusiastic about retrieves. However, this theory is not true, especially when trained properly and with gentle techniques. Any retriever with good bloodlines will inherently mark and retrieve, while not retrieving is the skill that requires work. Practice non-retrieves early in your dog’s training by picking up half of all bumpers. If your dog is enthusiastic and driven about early retrieves, do not throw too many marks during early sessions. As soon as your retriever is reliably chasing, marking, and retrieving, make the marks more difficult by having them fall in different terrain, such as tall grass, water, or in high crops. It is important to avoid excessive marking, as it can create bad habits rather than instill good behaviors. Never set your dog up to fail; instead, make sure every time you engage in a training session with your pup, he or she is set up to win. Modify your dog’s training in order to ensure success each time, no matter the drill. Simplify the training concepts and break them up into smaller steps, if needed. Remember that dogs learn best when each skill is broken down into individual components before being linked together. Hunters often want to test their dog’s skills as soon as they can. However, in doing so they sometimes set their dogs up for failure. One common mistake that hunters make is rushing through training without enough repetitions, causing confusion and frustration for dogs during the first hunt. 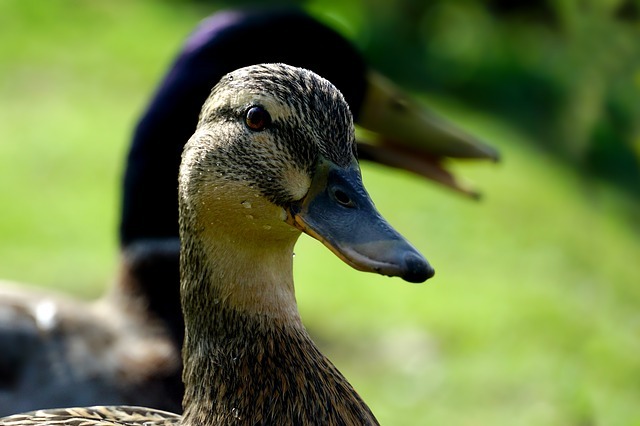 A second mistake is not connecting the dots during training by going straight from yard work to a real-life hunting scenario. Dogs should be reinforced in their daily behaviors outside of the field, particularly in their daily lives. For instance, is the manner in which people play with your dog developing bad habits? Are children tossing meaningless, repetitive retrieves that are ruining your dog’s steadiness? Is your dog being encouraged to run, swim, rough house, and chase, to the detriment of his or her behavior on the hunt? It is important to establish rules in your household for how your dog is to be interacted with, particularly during playtime. Educate your visitors on your dog’s boundaries, and control his or her environment, if necessary. In general, the earlier you introduce a skill to your dog, the better. Two common mistakes that hunters make is delaying the introduction of whistles and hand signs. The whistle can be introduced early in a dog’s training, particularly for recall and sit. Dogs as young as 6 – 8 weeks of age can be taught recall when a whistle is blown, especially when the whistle is associated with something positive. When associated with a reward, dogs can sit on whistle command by 3 months of age. The longer you wait, however, the more difficult these commands will be to train. Similarly, hand signals can be picked up early when introduced properly. When a hunter waits too long to teach hand signals, the result is an overly independent dog, instead of one that works interdependently with the owner. After your dog responds well to casts and whistle commands, incorporate directional cues. 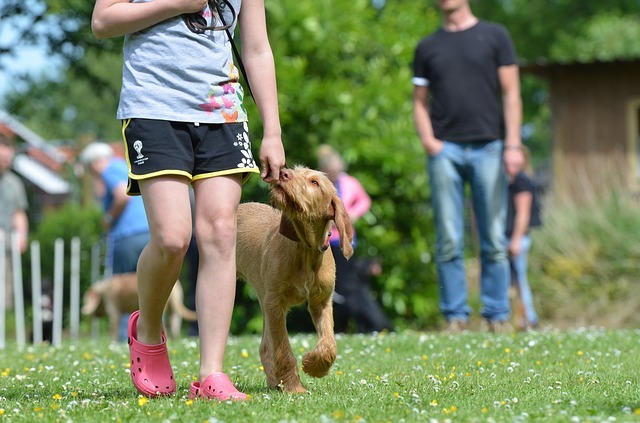 Finally, consistent timing is necessary when training a dog, for both praise and correction. The most effective dog training will occur when the animal receives reward or punishment at the exact moment the behavior (good or bad) occurs. Waiting too long teaches the dog to associate the most recent behavior with the praise or punishment, and not necessary the action being praised or corrected. Another important component of proper timing is to administer the praise or correction in the exact location where the behavior took place. If necessary, return the dog to location, make the correction, and re-emphasize the command. Remember, reward goes further for a dog than correction, and a properly timed treat can make all the difference in building your dog’s confidence. 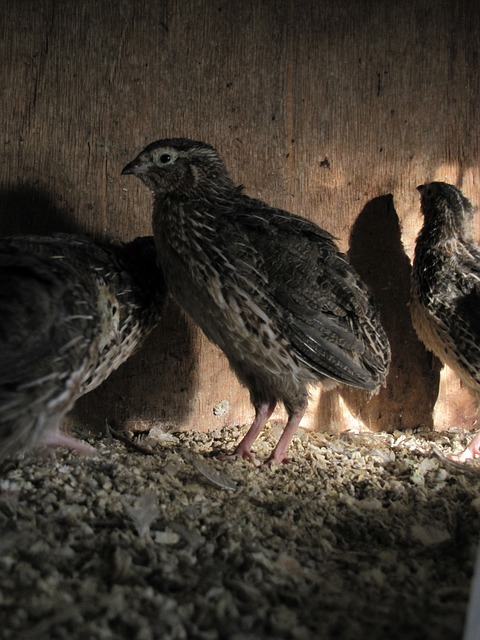 We get asked often on where to get birds for your training. 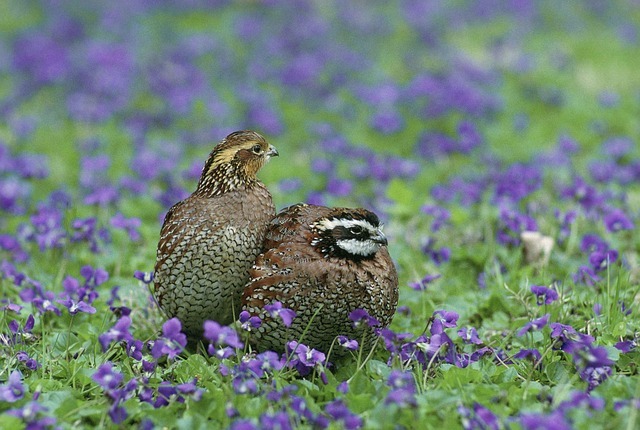 So, I have compiled a list of area bird breeders/providers for your reference. 2002 East 3150 North Road. Please be sure to check Dog Training and Game Laws before training with any state game animals. You can find a reference Here for Illinois regulations and IDNR links. We often have extra training birds available and would gladly sell any excess birds we may have for your dog training needs.